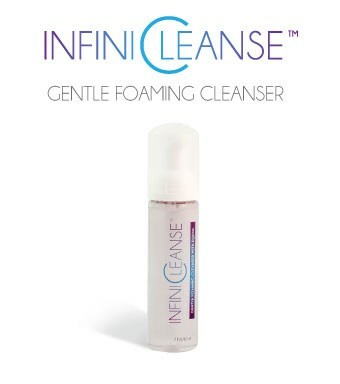 InfiniCleanseTM is the perfect start to any advanced anti-aging skincare routine – it cleanses, tones, and prepares skin in one simple step. Its deep but gentle cleansing treatment whisks away dirt and debris, without the use of harsh chemicals that strip the skin of natural oils. Its moisturizers keep skin soft and hydrated while supplying nourishment to strengthen skin architecture. 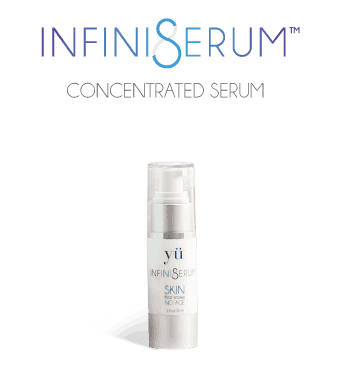 InfiniSerum® is a potent blend of anti-aging actives have been studied and proven to dramatically increase skin’s ability to act like its former youthful self. Its ingredients, including EQUOL – the anti-aging molecule – help to recalibrate youthful genetic expression, counteract the negative effects of hormone imbalances caused by aging, and provide visible improvements to skin’s appearance over time. 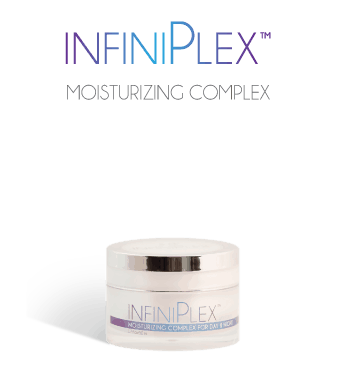 InfiniPlexTM is a moisturizer like no other. It provides maximum hydration and enhances skin’s natural protective barriers against environmental damage all while providing proven anti-aging technology. Its formula includes powerful moisturizers like sugar beet extract, olive fruit extract, sandalwood, phellodendron bark and barley extracts, as well as our propriety complex of skin barrier renewers, powerful antioxidants, and the ever unmatched EQUOL. The Yü Anti-Aging Essentials Kit gives you everything you need to restore your skin’s youthful appearance. In three easy steps using InfiniCleanse™, InfiniSerum® and InfiniPlex™, you’ll cleanse away impurities, infuse the deepest layers of your skin with the anti-aging power of EQUOL (anti-aging molecule), moisturize and nourish your skin to maintain a youthful glow.